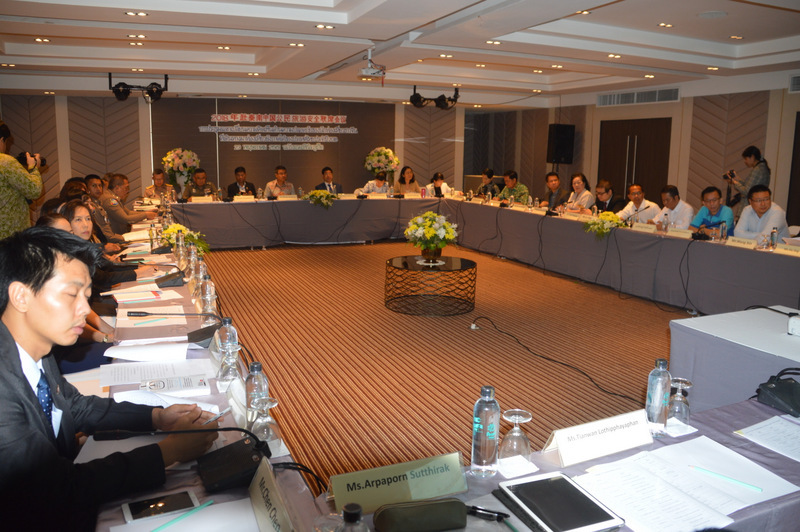 PHUKET: A high-powered delegation of Chinese officials were in Phuket again yesterday (May 23) to specifically plea for better safety measures for tourists. Leading the Chinese delegation at the Pearl Hotel in Phuket Town were Zhou Haicheng, who as the Chinese Consul-General in Songkhla is the the lead Chinese government representative for all Southern Thailand, along with Zhang Xinhong, the Director of the Bangkok office of the powerful China National Tourism Administration (CNTA). 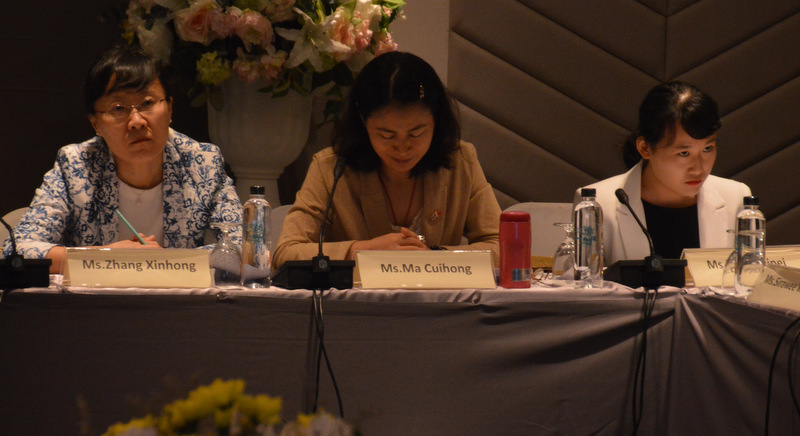 Also present to hear the statement was Ma Cuihong, who as Deputy Consul-General of the Chinese Consulate-general in Songkhla also heads the Phuket Consular Office of the Consulate General of the People’s Republic of China. Consul Zhou made it plain that the top priority of the delegation was to prevent any further Chinese tourists from drowning. “A lot of Chinese drowning in the Andaman region is the main issue,” he said. Mr Zhou called for all Chinese tourists engaging in water activities to be warned of the dangers of drowning. He even called tour companies to test tourists on whether they understand the warnings before they are allowed to enter the water. “This way the tourists will have better knowledge of water safety and this will reduce the number of drowning incidents,” he said. Mr Zhou also called for measures to ensure marine transport was safe. “Especially speedboats, which must have rescue equipment on board to save tourists’ lives in emergencies.” he said. “Tour companies must make sure that boat crews and the equipment on board is in perfect working order for each trip,” he added. Phuket Governor Norraphat Plodthong, in front of representatives of at least 16 Phuket government offices, defended the efforts by local officials. “Officials work hard on enforcing the rules for tourists’ safety, on the road and in the sea,” Gov Norraphat said. “Especially in the hiring of lifeguards, which is now looked after by local administration organisations (OrBorTor and municipalities) but funded by the Phuket Provincial Administration Organisation (PPAO, or OrBorJor),” Governor Norraphat said. 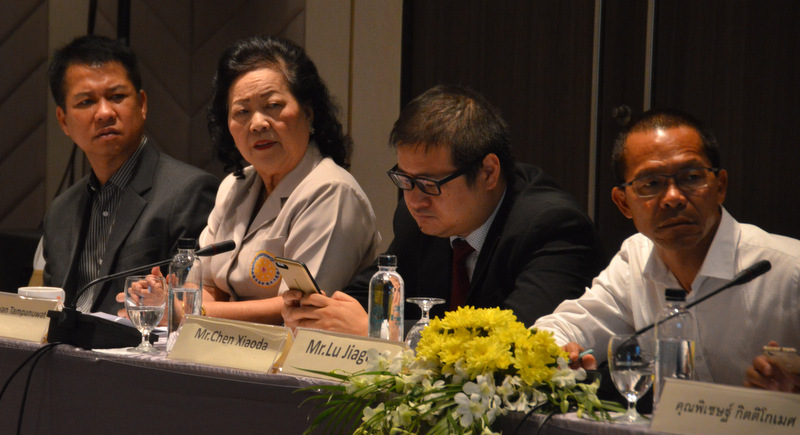 “I expect our effective working will increase Chinese tourists’ confidence in Phuket province,” Gov Norraphat said. In turn, Consul Zhou politely thanked the Governor. “Thank you so much for paying attention to Chinese tourists’ concerns, including in incidents when Chinese tourists were in accidents or died. Phuket officials look after Chinese tourists very well after they are in an accident and are in hospital. “I hope that following up on all these issues will hopefully reduce the number of Chinese tourists dying,” Mr Zhou said. Of note, the visit yesterday by Consul-General Zhou and Director Zhang came just two weeks after their own embassy delegation visited Phuket in person to asses beach safety and other safety concerns involving Chinese tourists. 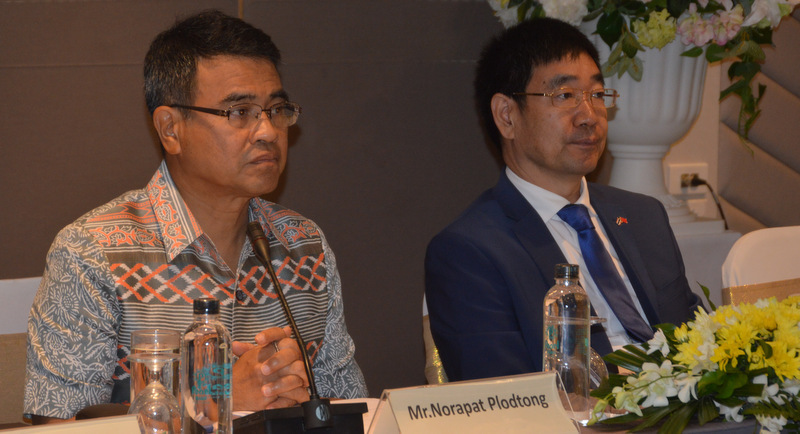 Consul Zhou and Director Zhang coming to Phuket to urge officials to take better precautions ot preserve Chinese tourists’ safety is becoming a regular event. In response, although the PPAO has yet to publicly reveal what money it has to support lifeguards and to make those funds available so local municipalities can actually have lifeguards on patrol, some agencies are stepping up to spend impressive budgets on the issue. It's pretty clear that the Gov doesn't have a scoobies about what is going on with the beaches- it's a farce. Oh, and what is the logic to spend 140 million on CCTV to support beach life guards if there are no life guards. Have trained life guards first. How much kick backs are in that 140 million budget for CCTV what due lack of maintenance in sea air conditions within a year is not functioning smart anymore as many CCTV on the island 'conveniently' not do at crucial moments? Sour thai faces on photos. You see the thai thinking: "Why are you intruding in our thai bubble. We do nothing our way". The cynical chinese compliment and thanks for taking care of hospitalized and death Chinese speaks book chapters,...wow, what a Phuket Officials loose face day. And, Phuket Governors orders of more than 2 months ago still not carried out. Akin to talking to a brick wall, the independent assessment would have been scathing, Thai beauracrats quibbling over who gets what from the budget is what it boils down to, ordinarily a very embarassing position for any country to be in but doesn't seem to be an issue for Phuket authorities as they could care less about the drownings of foreigners. Not many happy face on this 4 picture.